Kinders Can! READ and WRITE! (New, revised 2013 edition) -- Instant Download! Meant for Kindergarten teachers in a classroom setting. This comprehensive downloadable guide will walk you through exactly what you need to do to get YOUR kindergarten students reading and writing real text. Filled with effective learning activities you can immediately put to use in your classroom, "best practice" teaching techniques created with various learners in mind, step-by-step instructions on how to carry out each of the 7 core learning components that make up the program (Daily Alphabet Review Activities, Letter of the Week Focus, Daily Journal Writing, Interactive Literacy Charts, Free Reading Time, Teacher-Directed Story Time, and Handwriting Practice), and over 100 pages of useful masters that go along with the program (including pretests, letter activity masters, word lists, reading sentences, etc. ), this is a book any kindergarten teacher serious about getting his or her students reading and writing should own and master! Tricks Practice Cards (Set 1) -- Instant Download! Each trick has 2 printable pages! The first page portrays the “trick” along with a picture and a keyword. The second displays several words that utilize the “trick" so you can have your students practice using the new sound to read actual words! Print out and display the trick cards on a wall near your alphabet, turn them into a flip chart, or project them. Then review the various tricks and accompanying words daily. A "MUST HAVE" for classrooms with beginning readers and/or writers! More Tricks Practice Cards (Set 2, Advanced) -- Instant Download! Ready to get your kids reading and writing? Kids Can! READ and WRITE! 2 and 3 Letter Words (Step 2 in the Kids Can! READ and WRITE! Series) can help you do just that! This powerful guide is easy to read and understand whether or not you are a trained educator! 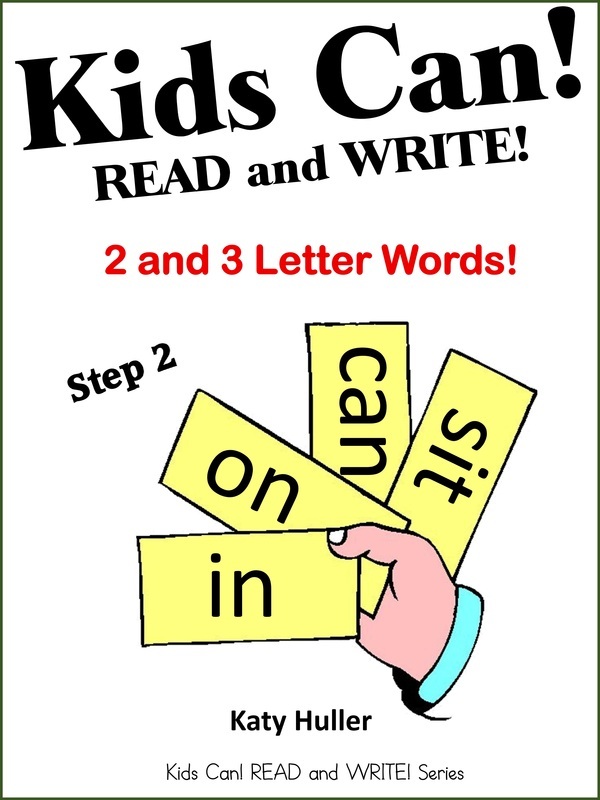 It provides simple step-by-step instructions on how to get your kids reading and writing 2 and 3 letter words, and it comes with pages of practice words and sentences to make sure you have what you need to help them get the hang of doing so! If you are ready to teach your kids how to read and write their first words in a systematic, child-friendly way, this book is for you!